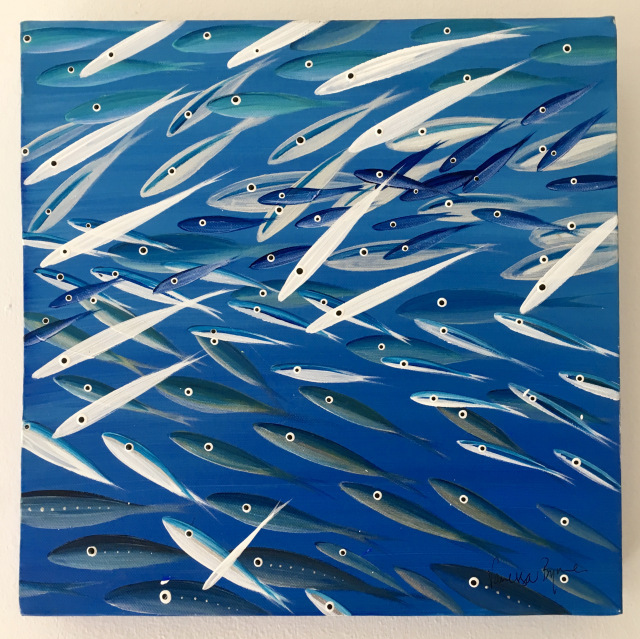 Coloured fish dart across a bright blue sea. Original art work in acrylic paint. 31cm x 31cm, depth 3.5cm.